Born of the expansive suburbs of Knoxville TN Skytown Riot has become a new force in the area riding the success of an interesting combination of inspirations and styles. Aptly referred to as Euromerican Rock the band conveys messages of self-reliance love greed freedom and the illusion of control. 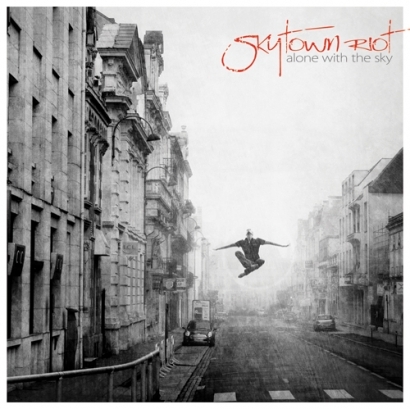 It's not so rare this day in age to find a band full of multi-instrumentalists like those in Skytown Riot. It is decidedly uncommon however to find a group that creates consistently thematic and often epic music with all members equally contributing to the writing process. Built upon longstanding friendships this creative approach lends itself to a perceivably honest instantly organic and ever-evolving sound. A passion for creative expression on all levels drives this enigmatic group of young East Tennesseans to explore engaging lyrics and deliver heartfelt melodies over a thunderous rhythm section. In 2010 Skytown Riot had the good fortune of winning the WNFZ (94.3 The X) Battle of the Bands which led the group to a slew of opening slots for bands such as Finger Eleven Filter 10 Years New Medicine SOiL Halestorm and Nonpoint. HOT! love the fact that its an original sound. Congrats on tacking 12th !!!! Good to see great music can still be written!!! !!!!!!!!!!!!!!!!!!!!! !Hit SIngle PAper CHaser!!!!!!!Youngblood!!!!! !Coming Soon!!!!!! !